Sync from your Windows, Mac, or Ubuntu Linux computers to the cloud and vice-versa without any trouble. Find your latest files on any computer, both on and offline. You can even customize by selecting and syncing each file independently. We have made some changes to our privacy policies to make it easier for you to understand our practices. Please make sure to read our terms before you agree to download Zoho Docs Sync. This will help you understand our privacy commitments to you in better light. Moving online is now a breeze. Uploading documents is easy with Zoho Docs. 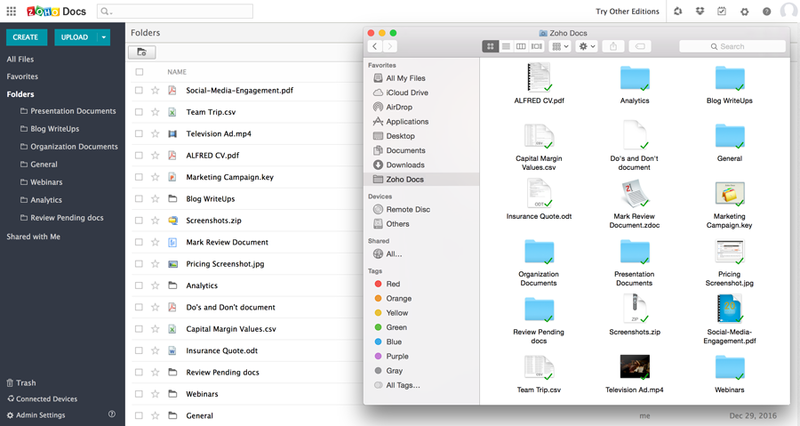 Just drag and drop files into the Zoho Docs Sync application on your desktop and move your files online. No need to worry about losing precious data. Back all your files up on Zoho Docs and access them when needed. Move data from any file storage system, whether you're using Dropbox, Box, or Google Drive. All you have to do is sign in. Work both on and offline. Whether you're high up on a mountain with no internet, or on a beach with limited connectivity, you can use Zoho Docs to get the job done wherever you are. Work on your desktop or laptop at your convenience, even while offline. Your latest edits will be reflected across all devices once you're back online. You can work both ways. 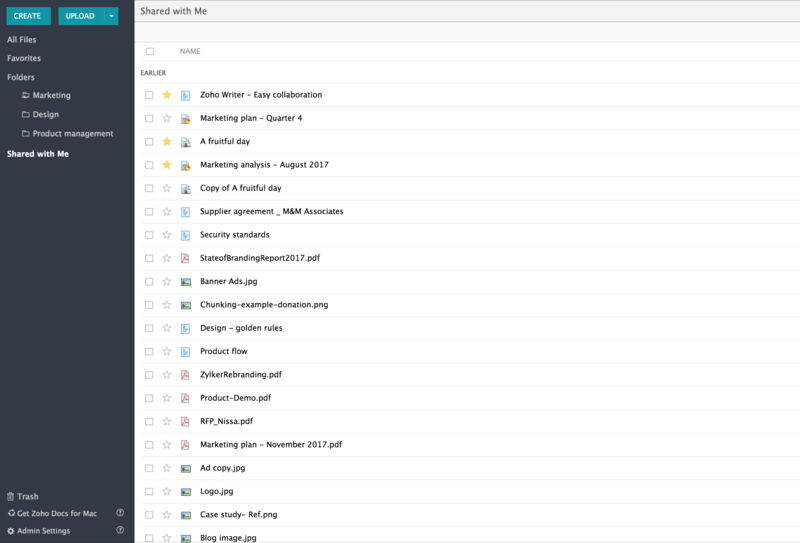 Start writing on your desktop and save your files in the cloud, or make changes to data online and continue modifying them offline with other editors using your desktop or mobile device. Prioritize your work files and sync only your most important documents. Customize which folders you want to see in each device. 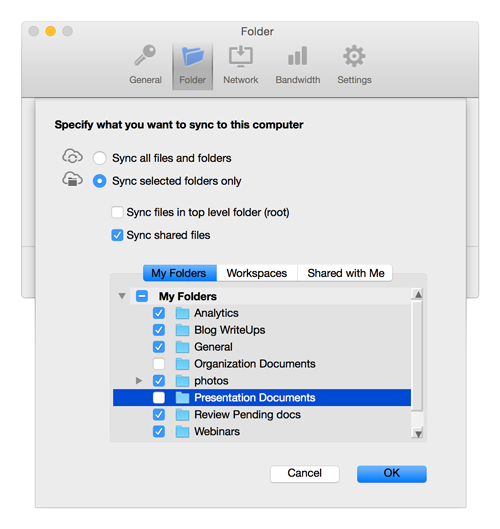 Sync or de-sync any folder or sub-folder without scrambling the order of your folder contents. Don't clutter your devices with every file. Avoid overloading your desktop's memory and save different sets of documents on different devices. Huge files? We've got you covered. Share information without worrying about file size. Transfer large files, whether pictures, videos, or even movies, fast and free of charge. 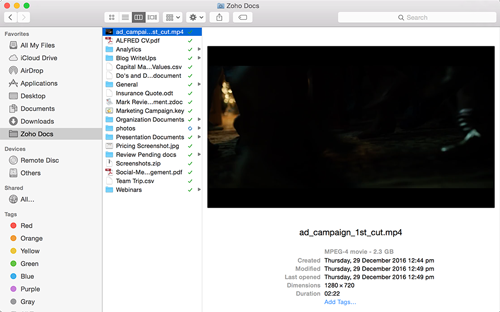 Add files to a Zoho Docs folder and share it with coworkers, friends, or family. Keep your team updated as you work. Changes made to a document in the shared folder will sync across all devices, both in the cloud and on your desktop. Sync up to five computers for free with Zoho Docs. Store and manage files from devices in different locations and keep them all in sync.